Sterling Silver Highlander's Band Bracelet by Metal Arts Group. Inspired by the 9th century illuminated Gospels of the Lindisfarne, each triquetra triangle is constructed of one continuous line to represent strength and give protection to the wearer. 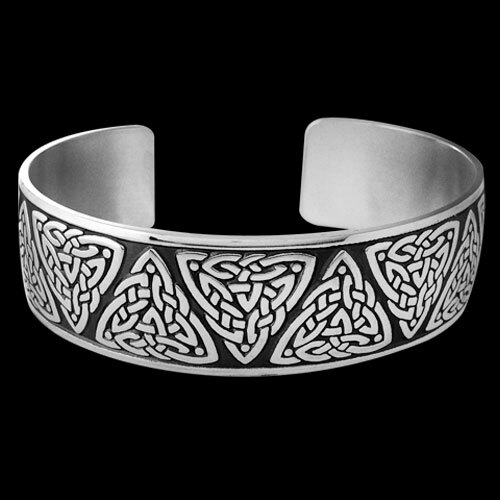 6.3 x 0.8 inch Sterling Silver Highlander's Band Bracelet by The Celtic Lady. Made in USA.